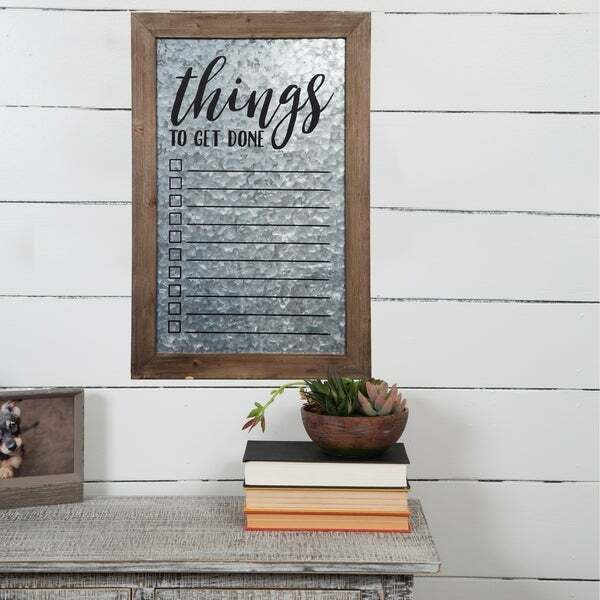 Keep you and your family organized and keep track of daily tasks with this decorative and functional Rustic To Do List Whiteboard. Framed in a rustic natural wood frame, this whiteboard is perfect for the office, kitchen, home office, kids' rooms and more. With this organizer, you can keep track of appointments, shopping lists and household chores or leave important memos with a dry erase marker. It's farmhouse inspired design is a perfect fit for any decor and rustic details allow you to organize and display everything you need in style. Dimensions 0.8 In. X 21.4 In. X 15.0 In.